This classic textbook sets out clearly and concisely how to evaluate symptoms and elicit relevant physical signs. It describes the practical skills which every clinician must acquire and develop in order to evolve diagnostic procedures and management strategies and plans. 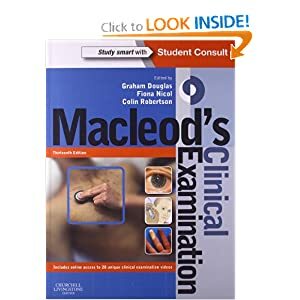 'Highly Commended' in the 2006 and 2010 BMA Medical Book Competitions, this Thirteenth Edition contains over 500 clinical photographs and diagrams to illustrate the text, with new topics added to make the book even more comprehensive.